Everyone loves a concert where there's plenty of audience participation… until it starts to get out of hand.Â Recently, the platinum-selling band Fifth Harmony was playing to a packed house in Atlanta when things went awry for vocalist Camila Cabello. Fans were batting around a big plastic ball, and one unfortunate swing sent the ball hurtling toward the stage — and directly into Cabello's face. 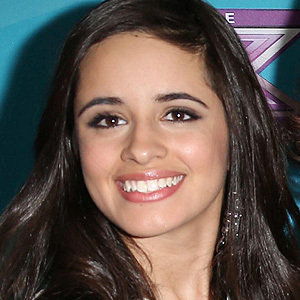 Pushing the microphone into her mouth, it left the “Worth It” singer with a chipped front tooth. Ouch! Cabello finished the show nevertheless, and didn't seem too upset. “Atlanta… u wild… love u,” she tweeted later that night. “Gotta get it fixed now tho lol.” Fortunately, dentistry offers a number of ways to make that chipped tooth look as good as new. A small chip at the edge of the tooth can sometimes be polished with dental instruments to remove the sharp edges. If it's a little bigger, a procedure called dental bonding may be recommended. Here, the missing part is filled in with a mixture of plastic resin and glass fillers, which are then cured (hardened) with a special light. The tooth-colored bonding material provides a tough, lifelike restoration that's hard to tell apart from your natural teeth. While bonding can be performed in just one office visit, the material can stain over time and may eventually need to be replaced. Porcelain veneers are a more long-lasting solution. These wafer-thin coverings go over the entire front surface of the tooth, and can resolve a number of defects — including chips, discoloration, and even minor size or spacing irregularities. You can get a single veneer or have your whole smile redone, in shades ranging from a pearly luster to an ultra-bright white; that's why veneers are a favorite of Hollywood stars. Getting veneers is a procedure that takes several office visits, but the beautiful results can last for many years. If a chip or crack extends into the inner part of a tooth, you'll probably need a crown (or cap) to restore the tooth's function and appearance. As long as the roots are healthy, the entire part of the tooth above the gum line can be replaced with a natural-looking restoration. You may also need a root canal to remove the damaged pulp material and prevent infection if the fracture went too far. While small chips or cracks aren't usually an emergency (unless accompanied by pain), damage to the tooth's pulp requires prompt attention.